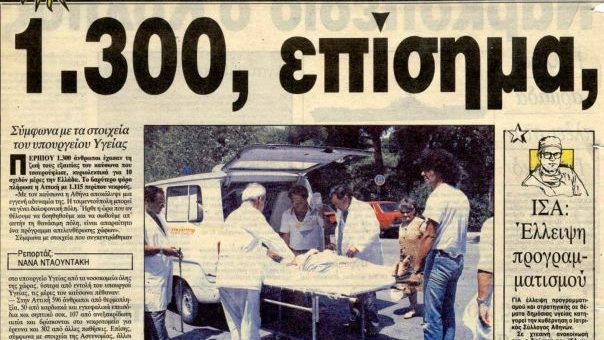 31 years after the great heatwave of 1987 in Greece, that left many dead, today, projects such as beAWARE offer solutions so that state authorities can be properly prepared and inform the public about the relief places in which they can be protected. First day of the review preparation meeting is underway in Brussels at KoWi_EU ! Presentations of the work packages are being shown to the entire consortium, with valuable feedback and improvements before the review meeting tomorrow. Stay tuned! The second issue of our newsletter is finally published online! Check the latest technical development of the beAWARE project; get informed about the latest news on climate change and other updates regarding the project, including participation in conferences and upcoming events that our consortium partners are organizing! To download the 2nd newsletter please click here Stay tuned for the third issue that is about to be published next month! According to our distinguished partner, the Finish Meteorological Institute, in Finland "hot days" are defined when the temperature goes above 25C. Normally, there are only a few hot days per year. This year, however, there have already been more than average and we're only in May! The record May temperature for Finland is 31C. 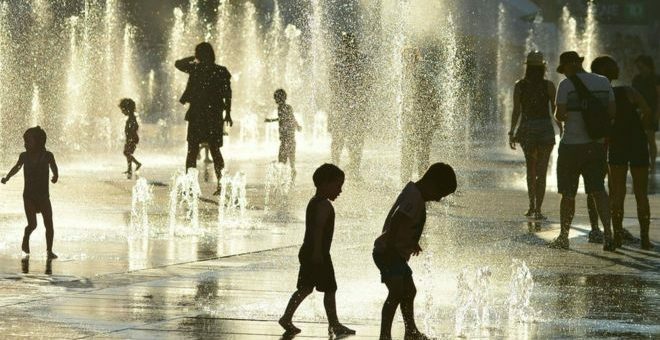 This year's maximum so far is 29.6C. 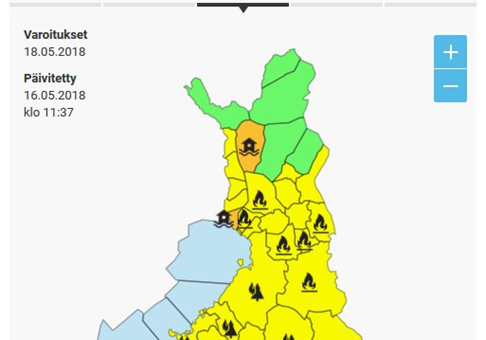 The main heatwave of hot days lasted 7 days, although all of May has been warm, sunny and dry - to the point that there is already a fire risk across most of Finland. Day 2 of our review preparation meeting has recently started! The presentations are moving on, with comments and fruitful conversations for improvements. Be AWARE for more updates later on!